This week’s photo challenge is The Hue of You. I like so many hues, and tints, and colors, it was impossible to choose just one. 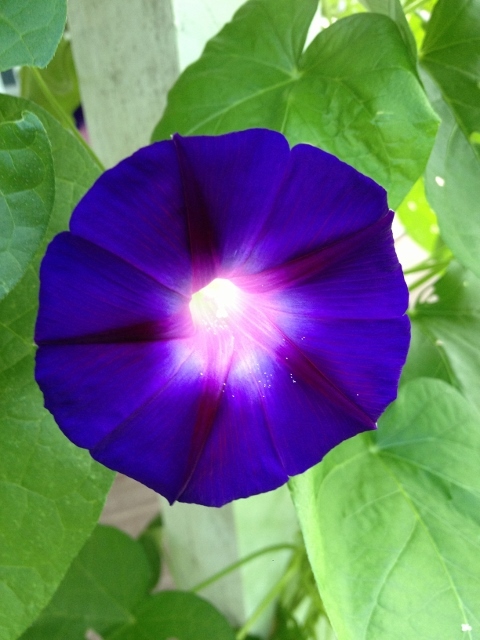 Blue – The sun shining through a Morning Glory. 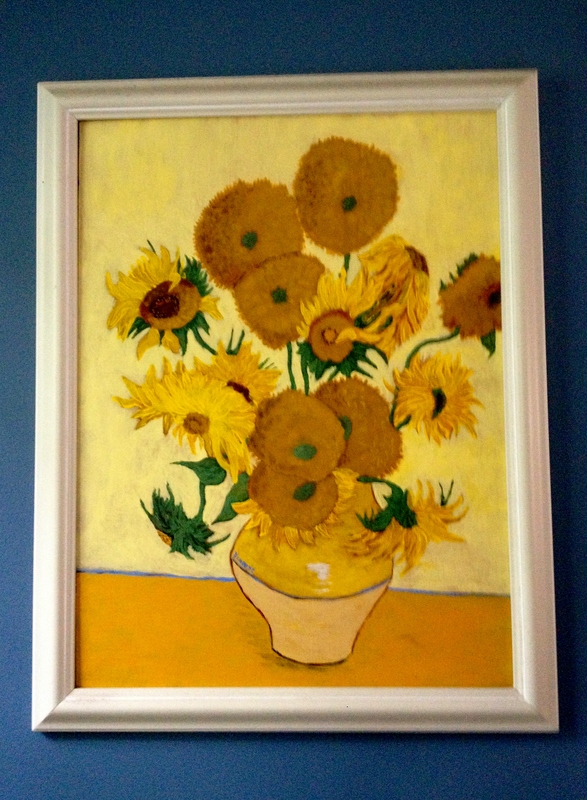 Yellow – Painting by my father – perfect against the blue wall. 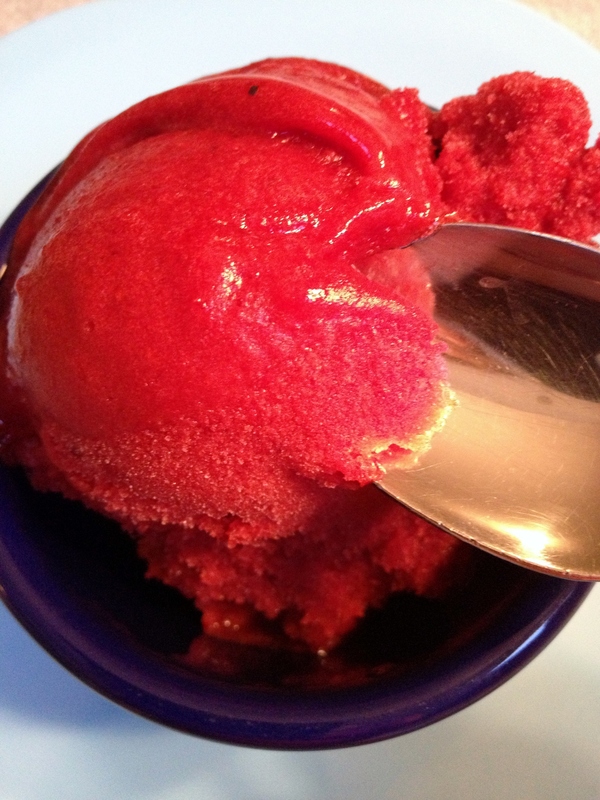 Red – Homemade Black Raspberry and Nectarine Sorbet in a blue bowl. 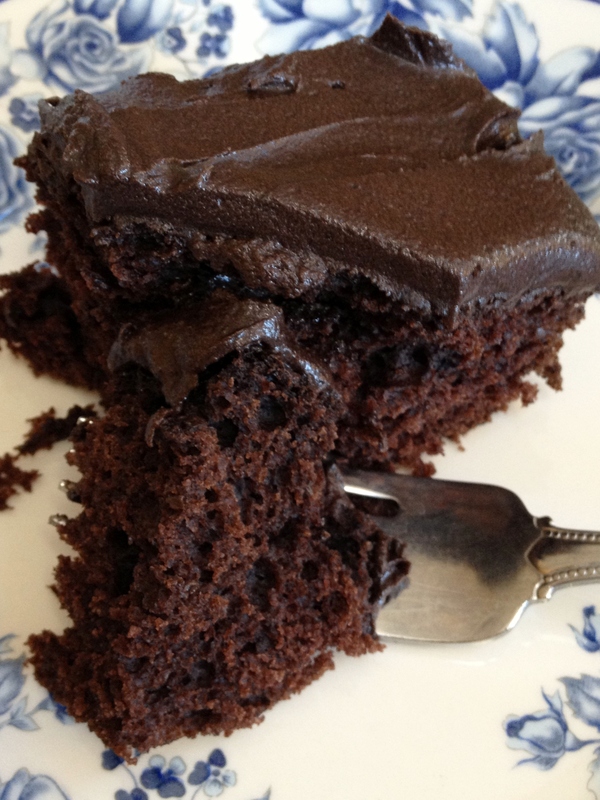 Brown – Homemade Chocolate Cake with Homemade Chocolate Frosting on a blue and white plate. I guess it is possible to choose. I like blue, when it is adjacent to lots of other colors! J’adore bleu avec beaucoup d’autres couleurs. I will keep my blue hue dishes. They make me happy. What is your happy hue? Blue plates always make me happy too…actually anything blue…but neutral colors make me content! Blue! And I have the same blue and white plates! They’re my favorite plates. You have excellent taste.